He was a researcher for a socio-economic rights organisation and then went on to lecture politics at the University of Johannesburg. He is currently completing his PhD on BRICS at the University of Pretoria and now lecturers politics at Rhodes University, Grahamstown. 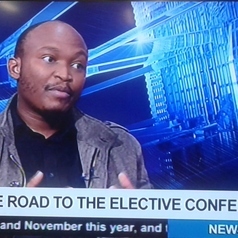 He is a political commentator on a number of media outlets on South African politics. And he has written a number of articles on public debates.